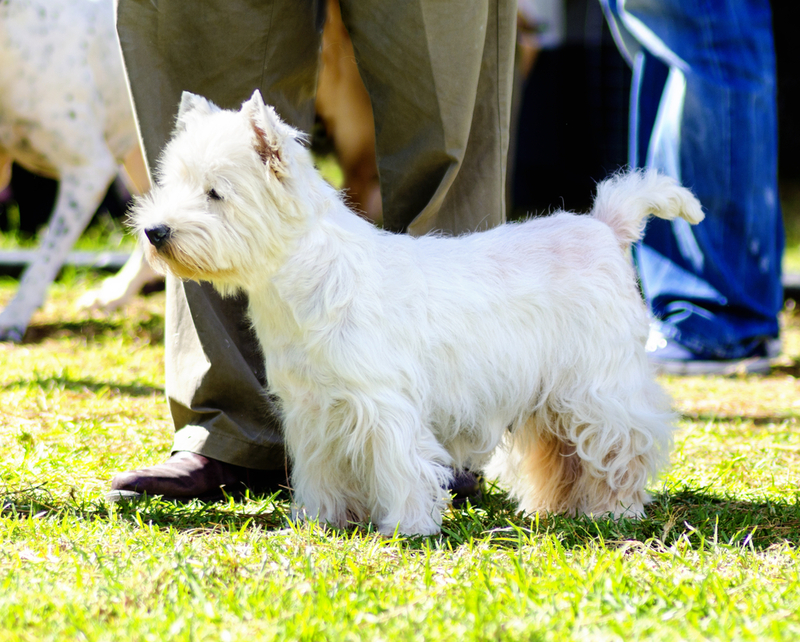 As with any purebred dog, West Highland White Terriers or “Westies” are susceptible to many breed specific illnesses. One particularly troubling illness is Westie Lung Disease (Idiopathic Pulmonary Fibrosis). There is no known cure for this, so it is important that you understand the signs and symptoms and have your vet start checking your Westie’s lungs regularly once she reaches six years of age. What is Westie Lung Disease? Idiopathic Pulmonary Fibrosis in dogs is sometimes called Westie Lung Disease. It is a chronic and progressive disease where the lungs become stiff and thickened from scarring. This usually occurs slowly over a period of twelve to eighteen months. The result is restricted movement of the lungs and the loss of their ability to transfer oxygen into the bloodstream. The lungs have to work harder to take in oxygen which requires the heart to work harder to pump oxygen through the body. This puts increased strain on both the lungs and heart. There have been extensive studies of Idiopathic Pulmonary Fibrosis in both humans and dogs, but no specific cause or causes have been identified. There is some indication of genetic predisposition. Another theory is that the inhalation of irritants such as cigarette smoke, dust, bacteria or other microscopic organisms leads to injury in the lungs. The lungs try to protect themselves by developing scar tissue where the healthy tissue has been damaged. This scar tissue is stiffer than the normal flexible lung cell tissue, and the lungs then begin to lose their elasticity and are not able to expand normally. This leads to a decrease in oxygen intake and a decrease in the expulsion of carbon dioxide and other waste gases. How Common is Westie Lung Disease? A genetic component is the most strongly believed cause of the disease in dogs, and Westies are affected more than any other breed. Westie Lung Disease usually affects middle aged to older dogs. Preliminary genetic studies have not identified specific causative mutations in Westies, but if a genetic mutation can be found, there is the possibility of reducing the disease through better breeding. While some ongoing research suggests links between Idiopathic Pulmonary Fibrosis, the immune system and allergies, nothing has been definitively proven. How is Westie Lung Disease Diagnosed? It can be difficult to confirm a diagnosis of WLD in dogs. The earliest symptom is a crackling in the lungs when breathing that becomes more apparent as the disease progresses. This noise is faint, so you need to put your ear close to your Westie’s mouth to hear it. 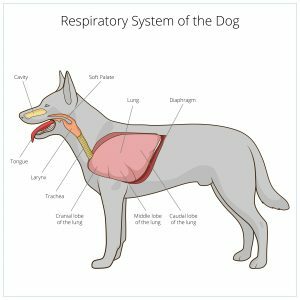 Starting at about six years of age, it is suggested that your vet listen to your dog’s lungs every six months so that you can detect the earliest stages of fibrosis. Other symptoms of Idiopathic Pulmonary Fibrosis are exercise intolerance, coughing when doing something that exerts energy, and labored breathing. Some dogs will show a bluish coloring of the tongue called syncope or cyanosis. Diagnostic tests are necessary in order to rule out other chronic bronchial and pulmonary diseases such as chronic bronchitis and or any cardiac disease. A thoracic CT scan, thoracic radiography, echocardiogram, bronchoscopy, and non-invasive pulmonary tests such as blood gas analysis can all be useful for diagnosis. A lung biopsy will give the most definite result, but this is more invasive and expensive since it requires anesthesia. It may not be appropriate for your dog. When breathing becomes more difficult with decreased lung capacity, your Westie may change the way he sits or lies. The owners of Austin and Harry, two Westies that developed the disease, found that their Westies wanted to lie on their sides or their backs more to take pressure off their chests and allow the lungs more freedom to move. There is no cure for West Lung Disease and the course of the disease is unpredictable. The ultimate prognosis is very poor, and the disease is ultimately fatal. For some dogs, the disease progresses slowly and gradually over months or years, while for others there is a rapid progression. In other cases, it may stabilize for a period of time. The mean survival time after diagnosis is between 3 and 5 years. The prognosis of idiopathic pulmonary fibrosis is not well established in veterinary medicine. A recent study reported a median survival of 27 months, but the prognosis varies greatly from one dog to another. There are a variety of therapeutic treatment options to help manage your Westie’s condition, and clinical trials are ongoing. Treatments for Westies with WLD mainly attempt to minimize symptoms and optimize quality of life. In humans, oxygen therapy is useful while waiting for a lung transplant. 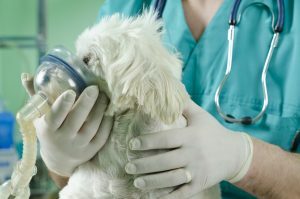 Unfortunately, lung transplants are not available for dogs. The right strategy for treating your dog can be dependent on his specific medical history and any other conditions. It is important for your dog to have regular checkups that include lung function tests and echocardiograms so that your vet can adapt treatment as needed. Steroids to prevent the build-up of the scarring in the lungs; these are typically taken orally, and more recently an inhaled version has become available. Diuretics to relieve excess fluids that can build up in the lungs as a result of the scarring and inefficiency of the heart. Bronchodilators that open up the airways and provide a better flow of air intake to the lungs. Heart tablets to assist with increasing the flow of blood around the lungs and body to improve the distribution of oxygen throughout the body. Cough suppressants to reduce the potential damage coughing can cause to the lungs and the stress it can place on the heart. Pulmonary hypertension (increased blood pressure in the arteries of the lungs) is a common complication and can lead to breathlessness and discomfort. Treatment with sildenafil and tadalafil (type 5-phosphodiesterase inhibitors) can help ease the effects of pulmonary hypertension. Two newer alternative treatments that are available are enzymes and laser therapy. There have been reports with both of these therapies of results as good as those achieved with traditional steroids. Enzyme therapy uses supplements such as serrapeptose and nattokinase instead of steroids. The recommended dosage of enzyme supplements for dogs is the same as for humans. Serrapeptose helps reduce inflammation and can help dissolve fibrin in the lungs, and Nattokinase can help improve circulation. There have been no clinical drug trials since these are only supplements, but many users have reported positive results in their Westies. Several positive experiences with the use of enzymes can be found under Visitor Comments on the In Memory of Austin & Harry website. The website states that you can contact them with questions regarding the use of enzyme therapy and they will with forward your information to the posters who will be happy to then contact you directly. Cold laser therapy is another alternative treatment that is being pursued. Cold laser therapy, sometimes called low-level laser therapy or low-power laser therapy, applies low levels of light to damaged cells in order to stimulate healing. The targeted tissue absorbs the light and a physiological reaction is said to promote cell regeneration. This therapy is non-invasive and painless and creates no heat, sound, or vibration. Laser therapy is being used for a variety of conditions by doctors, dentists, physical therapists, and other medical professionals. Its use for Idiopathic Pulmonary Fibrosis in both humans and animals is still being researched. Michael Ina, DVM gives a detailed report of his use of laser therapy on a Westie named Kalie on the WestieMed website. Below is a overview of Kalie’s story with laser treatment. Kalie was first treated with three therapies the first week, two therapies the second week, and one therapy the third week, for a total of six treatments. Kalie’s owner reported that she coughed less after each session and was more active. Kalie was then treated once a month with laser therapy. Her cough unfortunately did begin to worsen and Kalie’s treatment was supplemented with first inhaled steroids and then prednisone. The owners continued the monthly laser therapy and reported that for twenty-four hours after each therapy Kalie was more active than usual. Four and a half years after beginning laser therapy, chest X-rays showed no evidence of progressive pulmonary disease. Kalie was fifteen years old when she passed away due to factors not related to Westie Lung Disease. This was five years after her laser therapy began and Kalie’s lungs were clear. Westie Lung Disease is a serious and fatal illness. The exact cause or causes is still unknown, but research is ongoing and alternative therapies are being explored. If you notice any of the above signs or symptom in your dog, take him to the vet immediately for diagnostic testing. Catching the disease early will help your dog live a more comfortable life. Have any stories of WLD, comments or questions? Let us know below.